Transform your body and your life. 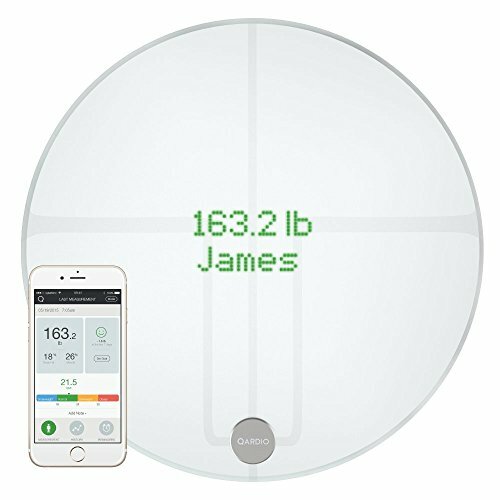 The QardioBase 2 Smart Scale tracks key body metrics on the way to a healthier you. Find out if you’re gaining muscle or fat, losing weight or just eliminating water. Our scale measures your body mass index (BMI) and body composition, including body fat percentage, muscle, water, and bone mass, for a complete overview beyond body weight. Once you’ve set your fitness goals, keep track of your daily or weekly progress with our intelligent results tracking. Our Smart Feedback mode utilizes smileys for an instantly recognizable assessment of your results. The scale also uses haptic feedback to provide a gentle vibration so you’ll know when your data has been measured. With QardioBase’s Pregnancy Mode, mothers-to-be can easily track their fitness through each semester for a healthy, happy birth and early months of nurturing and bonding with their precious child. QardioBase measures the data, analyzes it, tracks it in real time, and delivers precise feedback. QardioBase 2 can be personalized for each family member. QardioBase helps you meet fitness goals by instantly remembering your stats each time you step onto it. Data is kept private and secure yet easily accessible when they need it thanks to the Qardio App. With the Qardio App you can instantly sync your account and stats with your iPhone, Android, Apple Watch, Android Device, or Kindle. Recharging is super simple, too. Use the included USB to Micro USB cable to power-up the QardioBase at your convenience without keeping batteries nearby. If you have any questions about this product by Qardio, contact us by completing and submitting the form below. If you are looking for a specif part number, please include it with your message.